From acute attention to detail to comprehensive inspection reports, we provide you with the information you need to make informed choices when buying and selling properties. We understand that real estate transactions are usually stressful and often confusing, so you are welcomed to ask us anything about the home in question, both during the inspection and after you have received the inspection report. Blueprint Home Inspections is here to serve you so that you can be satisfied with your decision for years down the road. At Blueprint Home Inspections, we have the knowledge, customer service, and technology that you should look for when choosing a home inspector. 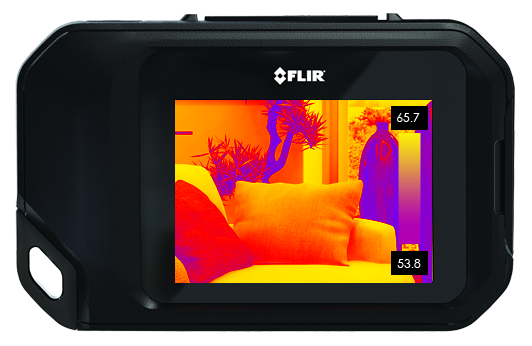 We use infrared thermal imaging in our inspections so that we can identify issues that may not be seen with a naked eye. Thermal imaging is a useful technology that gives us a deeper look at potential issues, and helps us get to the source of the problem. At Blueprint Home inspections, we take pride in the presentation of our user-friendly digital inspection reports. Within 24 hours of conducting your inspection we will promptly send you the login information for your inspection report. Your report will include many high-resolution photos to accompany the detailed descriptions. We even will include video if it is necessary to show the condition of an item. A breakthrough tool called the Create Request List™(CRL™) is included with our inspection reports. The CRL™ allows you, as the buyer or buyer’s agent, to choose items from the inspection report to include on a request list for the seller. You can identify how you would like each item addressed: repaired, replaced, or a monetary compensation. All parties can comment on the list and each comment is date and time stamped. It is a convenient and simple way for everyone to navigate the negotiation process. Try a CRL Demo Now!